Do you know the president that is referred to Bert, The Great Engineer, or The Grand Old Man? Or, Maybe you know him from spending 4 years of his life as the 31st president. If you were thinking Herbert Hoover than you guessed it! Herbert Hoover was a very smart and intelligent president. He always made the right decision even when things got hard. In this article you will learn His Memories of Growing up, Getting to be President, and his life after president. 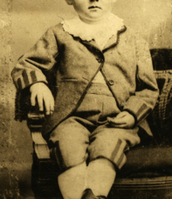 Herbert Hoover was born to be just like all the others! He was born on August 10th, 1874, West Branch Iowa. Herbert was the second out of three children to be be born. He had one brother and one sister. Their names were Theodore and Mary. They all were great children! As the years went on, Herbert was still living where he was born. But, at age six his father died. He died from a Heart Attack, while suffering Pneumonia. The Hoover family was heartbroken without him! Soon they got over their loved one and always had him in their heart. Then, a little over 3 years later Herbert's mother died. She died from Pneumonia and Typhoid Fever. After that his mother was also loved and was never forgotten. Herbert was left without any parents until, something saved him! Fortunately, another two years came by and at age 11 Herbert got orphaned by his own uncle! What a success! 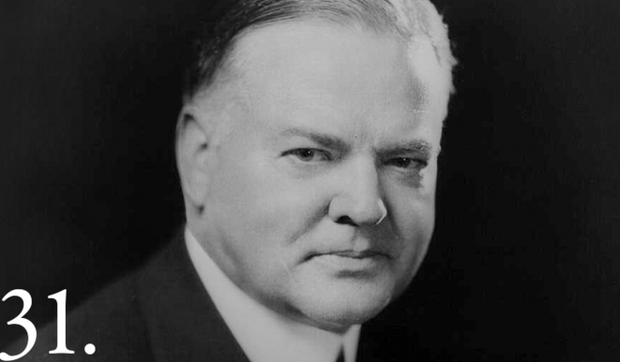 Herbert Hoover got older and older until it was time for college. Herbert went to Stanford University. It was located in Stanford, California and that is where he also graduated as a Mining Engineer. After college Herbert got married on February 10th, 1899 to Lou Henry Hoover. Then later, everything started to come together! Herbert Hoover later became a president in 1929. He was the 31st president of the United States. He had a vice president named Charles Curtis. When Herbert first started he carried 40 states! Wow I guess that he was really loved back then. As his years went on Herbert got bigger and bolder! Until in 1932 Herbert started to become deeply unpopular. He was only carrying six states by then. since he only carried six states he wasn't really noticed anymore. He carrier started going downhill, and he was finally over being a president in 1933. Franklin D. Roosevelt soon became the 32nd president and took over herbert's spot. Then about 12 years later his spouse died, Lou Henry Hoover. She died in 1944 from a heart attack. In 1962 he dedicated the Herbert Hoover Presidential Library and Museum in West Branch, Iowa. It showed statues, graphs, and many things about Herbert Hoover in the museum. 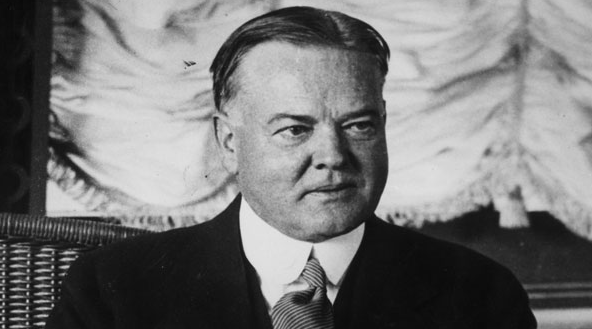 At 90 years of age Herbert Hoover died from internal bleeding in his intestines. He died in 1964 in New York, New York. Herbert was buried in West Branch, Iowa where he was born. 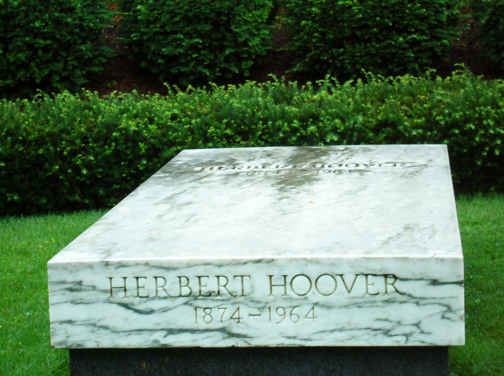 Herbert hoover was gone, but never forgotten. As you can see Herbert Hoover had a great life while he could live it! I am sure nobody will ever forget him or his family. He made a great president back then! Herbert will always stay the 31st president of the United States no matter what. Just remember his great nicknames and you won't forget Herbert Hoover! In all Herbert Hoover has been in history and there's still so much to learn about him! 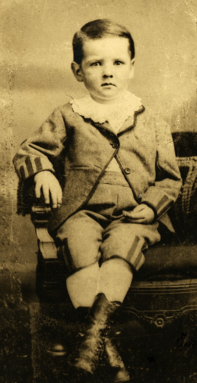 Herbert hoover when he was a child. Herbert Hoover when he was a President.